1 out of every 4 homeless men in the United States is a veteran. The Veterans’ Place works every day to change the lives of those who have proudly served our country by providing them with desperately needed resources and transitional housing services, helping them reach their full potential within society after returning home. We’d like to thank Philip for submitting this wonderful charity through the #PutACauseOnIt promotion. He is the proud winner of 6 months’ worth of Deep River Snacks chips! Be sure to keep an eye out for The Veterans’ Place logo, which will start appearing on the back of every Black Truffle kettle chip bag in 2018. Official contest rules can be viewed here. 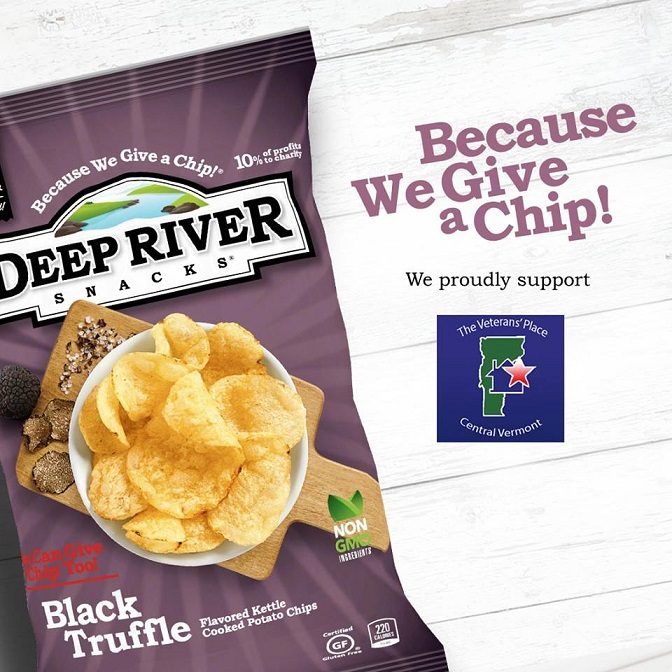 This promotion is managed by Deep River Snacks. Participation in this promotion is subject to the official rules.